While scanning through some files today I came across a few photos that made me realize I need to do some travelling – some more sightseeing. Having the opportunity to play tourist in Chicago, New York City and Toronto, I got to experience 3 very different cities, but all with 1 architecturally similar skyscraper in their skyline. 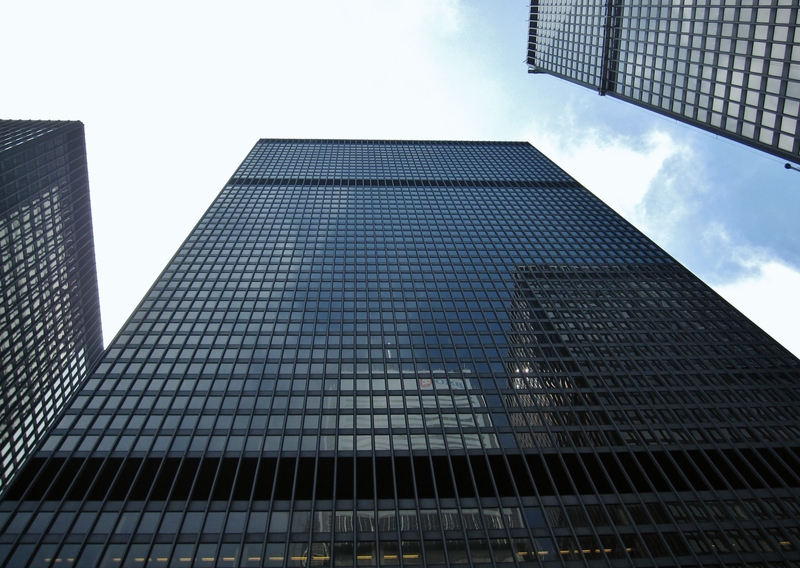 The Kluczynski Federal Building (45-story) in downtown Chicago, the Seagram Building (38 story) in Midtown Manhattan and the Toronto-Dominiom Tower (56-story) in downtown Toronto were all designed by Mies van der Rohe. All 3 of these buildings are of the International style in which the buildings’s structural elements are made visible on the exterior. 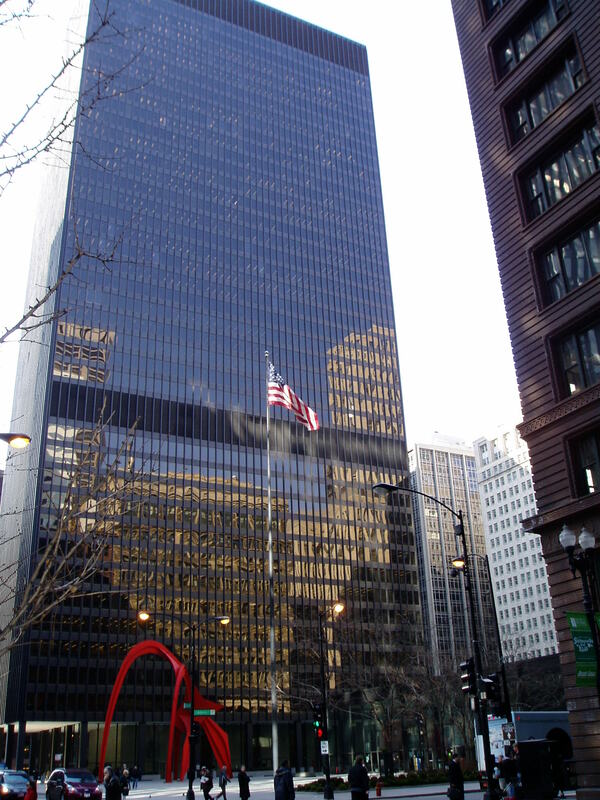 Ludwig Mies van der Rohe (March 27, 1886 – August 19, 1969) was a German born American who left his mark on the world in a very visionary, forward thinking, contemporary way. And long before social media or technology! 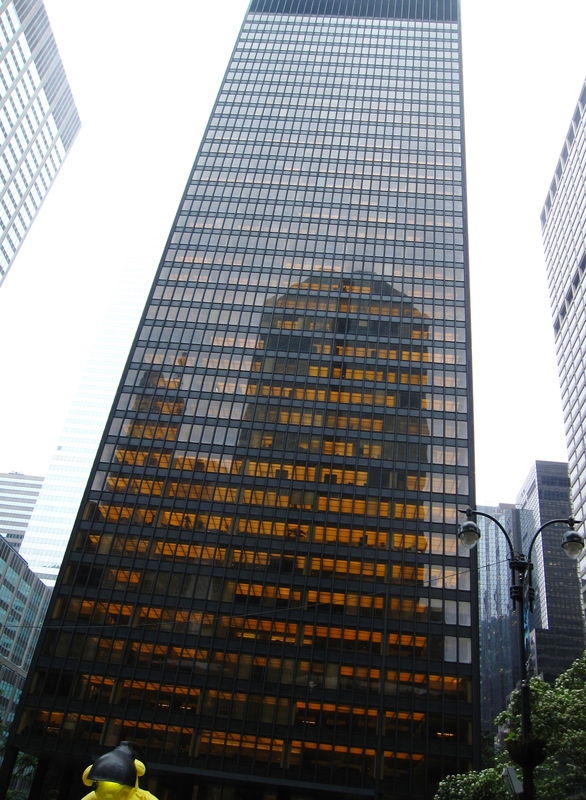 Mies van der Rohe was an architect who was widely regarded as one of the pioneering masters of modern architecture. These iconic skyscrapers that Mies van der Rohe dubbed “skin and bones” architecture still stand today as a testament to the adage “less is more”. Affectionately known as ‘Nornie’ to her close friends and family. 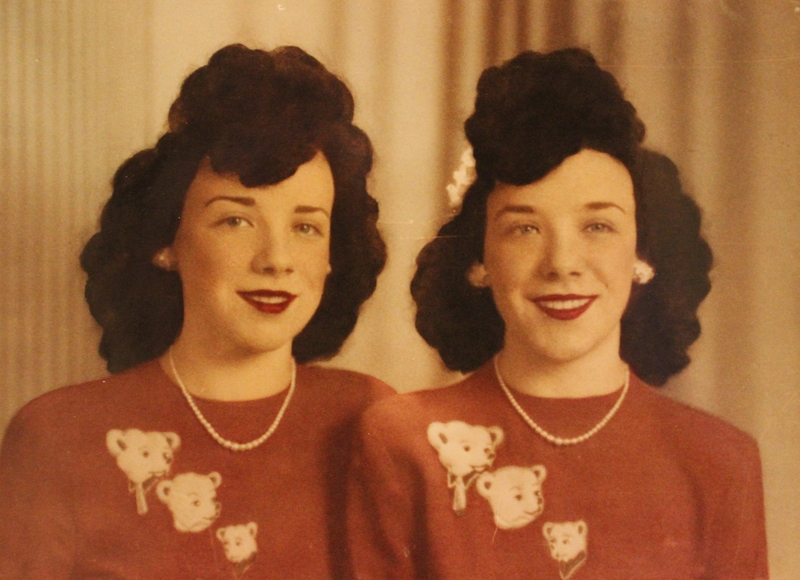 My Mother was an identical twin and as close as 2 peas in a pod but my Mother was also one-of-a-kind. It was from my Mom that I got my sense of design and love of décor. My Mom had a passion for decorating and keeping a beautiful home. In my parents very first home my Mom painted the living room’s 5th wall (ceiling) red to coordinate with her new crimson red curved sofa. Ground-breaking. When my Mom was expecting their first child my parents moved to the suburbs – a larger home for their 4 children (born within the next 5 years) and more space for my Mom to decorate. When we were very young my Mom enrolled in night school to take an interior decorating course. I remember my Mom’s design boards with little swatches of fabric, carpet and paint. She loved attending this course even if it meant leaving my Father at home with 4 small children – and even if it resulted in my Father doing a quick trip to the hospital emergency unit with my brother who needed stitches after falling on the fireplace hearth! My Mom made her design choices slowly and meticulously. Whether it was the fabric choice for the new sofa or drapery, the shape of the custom built kitchen table, the pattern of the wallpaper for the new feature wall or the paint colour of the garage door, my Mom made her decisions carefully. Mom decorated on a budget but her home indicated otherwise. My Mom was aware of trends and the latest in décor but chose the classics. I grew up with mahogany, wools, silks, cotton damask, Louis XlV and gilded furniture. Mom took me shopping to fine furniture stores like Eaton’ s Gallery of Fine Furniture, we visited art galleries and she taught me how to identify different fabrics. I fondly remember my Father every few years saying to my Mom, “Well Nornie, it’s time for a new car, what colour shall I order?” My Mom liked to coordinate the car with the colour of our home’s exterior! Unfortunately my Mother never met any of her 11 grandchildren or got to retire with my Father. And she never got the pleasure of helping her children decorate their homes. Twenty-seven years ago today my Mother lost her battle with Cancer. On the list of “The 10 Most Expensive Paintings Ever Sold”, is Willem de Kooning’s Woman lll. In a private sale in 2006 Woman lll sold for $137.5 million dollars! Willem de Kooning (April 24, 1904 – March 19, 1997) was a Dutch American abstract expressionist artist that painted in a style that came to be referred to as Abstract expressionism or Action painting. With aggressive brushwork, blatant imagery and strategically placed high-key colors, Woman lll created a sensation when it was first shown in the early 1950’s. This piece of art still creates a sensation in both subject and wonderful colour. December has arrived – a month that is full of rich traditions, celebrations and holidays observed by many people in all parts of the world. Many of these celebrations are linked to winter solstice with light being a significant symbol. Others are religiously linked holy days hence the word ‘holiday’. Christmas – December 25th marks the birth of Jesus Christ. Bodhi Day ‘Day of Enlightenment’ celebrated on December 8th marks the day that the historical Buddha experienced enlightenment. Saint Nicholas Day celebrated on December 6 in many parts of Europe. Yalda, December 21st, is the Persian Winter Solstice Celebration. Pancha Ganapati is a five-day Hindu festival celebrated from December 21st to December 25th. Whatever your beliefs I hope your December is full of happiness. 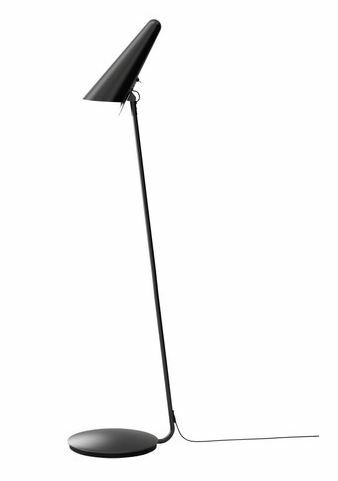 On that note I thought I would share mine…..
On my wish list right now is the AJ Floor Lamp. I recently decided that my media room would be a great spot to curl up on the sofa and read but at present the only light in the room is from ceiling pot lights. Wanting to keep the contemporary feel of the room I knew my choice for a floor lamp had to be selective. When I came across the AJ Lamp I fell in love. The AJ Lamp was designed in 1960 by Danish architect and designer Arne Jacobsen (AJ) for the Radisson SAS Royal Hotel in Copenhagen. Given the opportunity to design both the hotel and the furniture within it, Jacobsen created the lamp to echo the lines of his Egg Chair and Swan Chair – design classics of the 20th century. 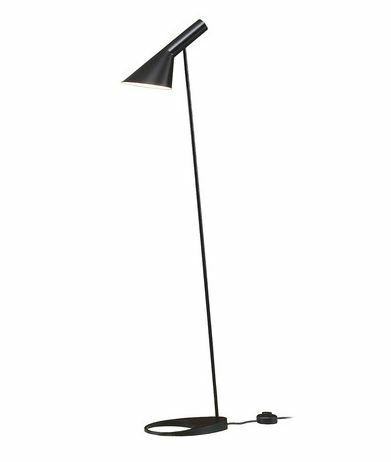 The heavy cast iron base allows for the lamp to have the unique tilt and angle which is what appeals to me and the rotatable shade makes the AJ Lamp perfect to read with. Unfortunately (for me) the price tag of ~$1000 does not fit into the budget. Ikea’s Stockholm floor lamp designed by Ehlén Johansson is a great example of a modern design. And fortunately the lamp was produced with powder coated steel and aluminum – not plastic. With a price tag of $110 this lamp fits very well into the budget. The lamp is available in white which is exactly what I am looking for. I like both lamps but if anyone has an extra $1000 to spare…….. I am sure you have seen in many magazines the column titled High vs. Low. Technology magazines, automotive magazines, home design magazines etc., etc. all have some sort of article written on product comparison based on cost. Similar product, different price point. Armed with this information readers can often make their purchases based on their individual budget. In home design magazines I like the challenge of whether I can correctly determine which product is the high priced vs. which product is the low priced. My stats are pretty good. So I thought from time to time I would write about some high vs. low priced products. My first items on the list are throw blankets. Taking the title of ‘high priced’ is the Hermès Avalon blanket as seen under my ‘Modmissy Wish List’. The Hermès signature ‘H’ blanket is made of 85% wool/15% cashmere and measures 55” X 69”. It feels wonderful!! And the price point?…….$1,225.00 U.S.!! Ouch. But when it comes to designer label throws Hermès does rule supreme. You can always count on seeing this blanket draped over a sofa in any of the design magazines. Although the cost of this blanket can cost as much as a sofa! I have coveted this blanket for some time but it is not to be as budget rules for me. Under the title of ‘low priced’ would be my own blanket, my Hermès substitute. I thought it was a good substitute because it also has bold letters on it similar to the Hermes ‘H’. It is a cotton/cashmere mix and measures 54” X 62”. And the price point?…..under $100. This blanket was more in my budget and I am persuading myself that it feels and looks just as good as the ‘high’ priced. But it still remains on my wish list! Original or Not…you be the Judge. Are any concepts or designs really truly original? Or have they subconsciously been adapted from something previously seen or heard? A design idea that was encouraged by something totally unrelated; a stimulus or an inspiration. As Albert Szent-Gyorgyi, Hungarian biochemist, 1937 Nobel Prize for Medicine once said, “Discovery consists of looking at the same thing as everyone else and thinking something different.” In the world of design there is the infamous title of designer inspired products called ‘knock-offs’. Many of the design classics of the 20th century have been reproduced to mimic the same look. Some pieces are almost exact duplicates – reproductions, some pieces are parallel-inspired from the original. Whether you own an original or knock-off it almost always comes down to price. Is one any more correct to own than the other…..that is a very subjective answer? I own a number of original design classics but I also own some that are not. When we renovated our media room I would have really liked to have an Eames Lounge Chair for the space but the $7000 price tag was a little prohibitive. Subsequently I settled for an Eames Lounge Chair-inspired version which I love just as much and looks just as good. 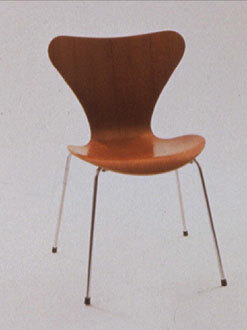 An example of a knock off that many people may not even now about is the Series 7 Chair by Arne Jacobsen. Originally designed in 1955 the curved plywood chair has been copied so many times that it has become commonplace. In fact the other day when I was at the grocery store buying bread and milk I could have purchased a Series 7 Chair knock-off for $39.99 at the same time! 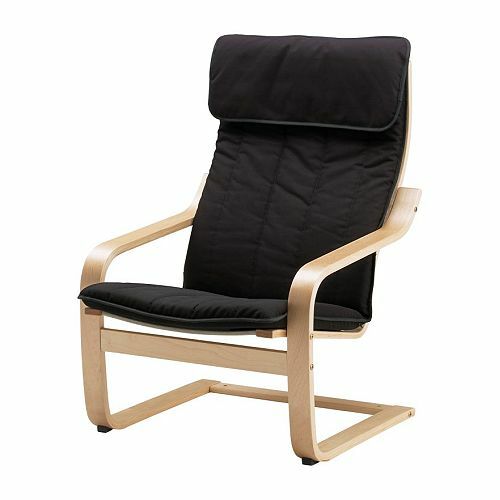 The well-known IKEA classic Poäng chair (shown on the right) designed in 1976 looks very similar to the Alvar Aalto Lounge Chair 406 (shown on the left) designed in 1936. You be the judge – is there really a right or a wrong?? I recently came across this interesting photo of the bent, crooked trees that grow in a forest in Poland. The photo reminded me of Alvar Aalto’s laminated bent-plywood High Stool. Aalto, born in Finland in 1898 was a Finnish architect and designer whose work included architecture, interior design, furniture design, glassware design and painting. Throughout his entire career Aalto designed approximately 300 buildings which were built mostly in Finland with a few in the United States, Germany, Italy and France. The High Stool was designed in the early 1930’s resulting from the process of experimenting with wood while creating small-scale architectural details and forms which were later to be used in his architectural designs. Aalto, in a speech given in London 1957 stated, “We should work for simple, good, undecorated things, but things which are in harmony with the human being and organically suited to the little man in the street”. Alvar Aalto was definitely a person with great insight and a forward thinker. Last weekend while lounging dockside at the cottage, I had the chance to catch up on some reading, specifically my design magazines. Something that caught my eye was a DIY photo in Canadian House and Home July 2011 issue. 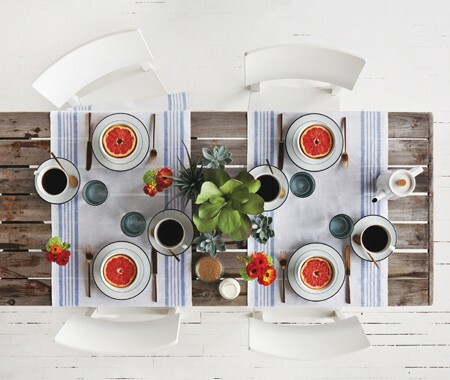 A weathered barn board table left uncovered was set for alfresco dining with crisp white linens and dinnerware. It was the rustic feeling of the table that inspired me; the contrast of the weathered with the new. I envisioned myself entertaining friends and family at a similar table in my own backyard so I decided to build one. (Actually I had hubby build one – see below) My table is built from white pine boards that are over 100 years old. Originally occupying a Pharmacist shop in Port Hope, Ontario, where the boards served as shelving in the stock room to hold bottles of potions, tinctures and salves. When the shop was closed many decades later the boards somehow made their way to our cottage where they were then used as dock boards for over 30 years. When a new dock was built the boards were no longer needed and thus relegated to the wood pile. Fortunately for me the boards were never thrown into the bonfire and burnt! So in the 100 year journey from Pharmacist shelving, to lakeside dock, to woodpile, to rustic alfresco dining my ‘new’ wood table certainly has weathered all. My ‘new’ weathered wood table. For the past few weeks I have displayed on Modmissy’s Wish List a red Panton S Chair. The futuristic-looking plastic molded chair was designed in the 1960’s and its sculptural design makes it as much a piece of art as a functional piece of furniture. Very mod! I have not yet acquired one of these chairs but not all wish list ‘wants’ are fulfilled. 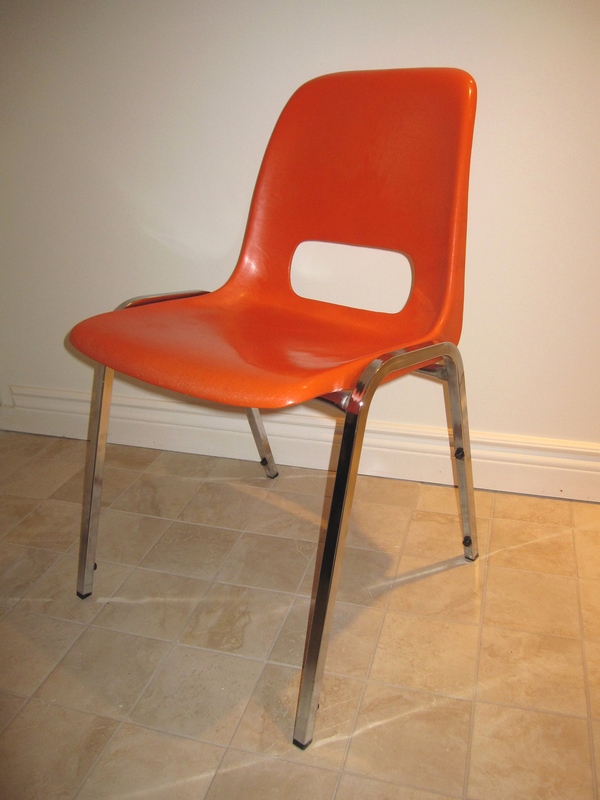 But what I have recently acquired are 2 orange plastic molded chairs with chrome legs that resemble the Eames Eiffel Chair. (see post June 2 – Eiffel Chair). My chairs are vintage and in great condition. They were made in Canada by Jayden as indicated on the bottom of the chair and came from the office of the Law Society of Upper Canada. (If only chairs could talk!!) I originally thought the chairs would be fabulous as extras at the dining table but once I got them home I realized I could place them anywhere in the house and they looked great. In my guest bedroom for a pop of colour and to hold an overnight bag, in my home office to serve as a desk chair or in front of my white credenza as the colour contrast is really fab. So contrary to their previous location, my ‘Law Society’ chairs are no longer bound by rules or regulations as to where I can place them as they are now free to move about my home!